The examination shall be organised in one sitting to Cameroonians of both sexes, holders of GCE/AL, in at least two (02) subjects including the major subject of the Department or Baccalauréat or any equivalent diploma recognised by the Ministry of Higher Education and of GCE/OL in at least four (4) subjects including the major subject of the Department. The Bilingual Letters department shall be opened for holders of Baccalauréat A4 with an average of at least 12/20 in English, or GCE/ AL in English Literature and with at least a “C” grade in French, fulfilling the rest of conditions stipulatec 1/3 in the present ministerial order. 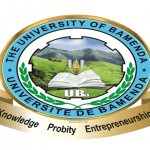 LIRE: ENSET Bamenda: Admission of candidates to return to title in the first year of the second cycle of the Ecole Normale Supérieure d'Enseignement Technique (ENSET Bamenda) of the University of Bamenda in respect of the academic year 2014/2015.